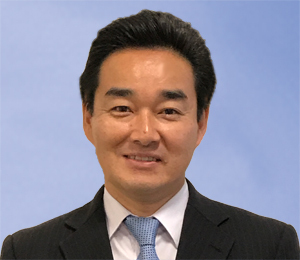 Tetsuo Iguchi, age 50, is Senior Vice President of Government & Industry Relations and General Manager of the Washington D.C. office of Toshiba America, Inc. Mr. Iguchi previously was assigned to the Overseas Sales and Marketing Department for Nuclear Division and also one of the Mount Fuji project team members working for Fukushima Daiichi restoration efforts. In July 2012, he was appointed Assistant General Manager of the Corporate Government & External Relations Division. He transferred to Toshiba America Inc. as Vice President for Government and Industry Relations and Deputy General Manager of the Washington DC office in January 2013 and was Visiting Fellow for the Center for Strategic and International Studies (CSIS).